Just a good dog, and some good water, blowing some good bubbles. 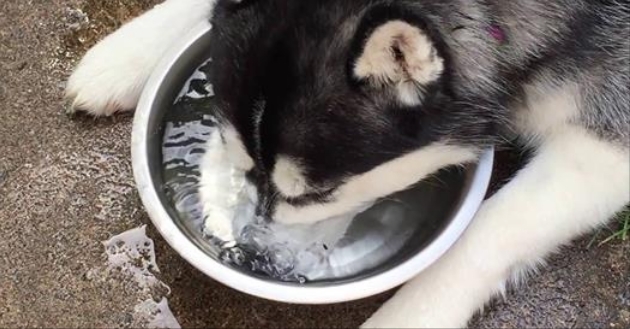 An absolutely magnificent Siberian Husky named Maya has an adorable habit of blowing bubbles through her nose whenever she takes a drink from her water dish, whether alongside her canine sibling or by herself. It is very sociable and is firmly attached to his family. He's intelligent, balanced temperament and obedient. He will not suit the owners or families who do not have enough time for him, because it will lead to the neglect of boredom, which leads to destructive behavior. Responses to "A Beautiful Husky Adorably Blows Bubbles Whenever She Drinks From Her Water Dish"